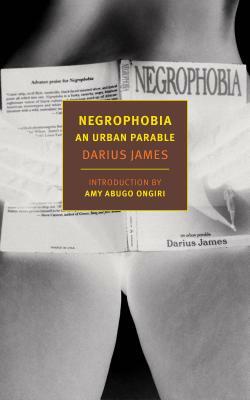 Darius James (b. 1954) is a writer and spoken-word performance artist. He is also the author of That’s Blaxploitation! : Roots of the Baadasssss ’Tude (Rated X by an All-Whyte Jury); Voodoo Stew; and Froggie Chocolate’s Christmas Eve. His writing has appeared in multiple publications, including The Village Voice, Vibe, and Spin, and he is the co-writer and narrator of the 2012 film The United States of Hoodoo. He lives in Connecticut. Amy Abugo Ongiri is an associate professor and the Jill Beck Director of Film Studies at Lawrence University. She is the author of Spectacular Blackness: The Cultural Politics of the Black Power Movement and the Search for a Black Aesthetic and her writing has appeared in The Journal of African American History, the Los Angeles Review of Books, Postmodern Culture, and other publications.